From March 8-11th 2018, all French students have the opportunity to travel to Quebec, Canada. Language Arts Teacher Laura Martino is in ¨the process of getting information to families and beginning some fundraisers.” Madame Martino also said that while in Canada, the students will be participating in a combination of historical aspects, they will have some free time, and they will get to experience true French foods! This trip was planned and organized through the sam e tour company that the French Exchange students used back in April. 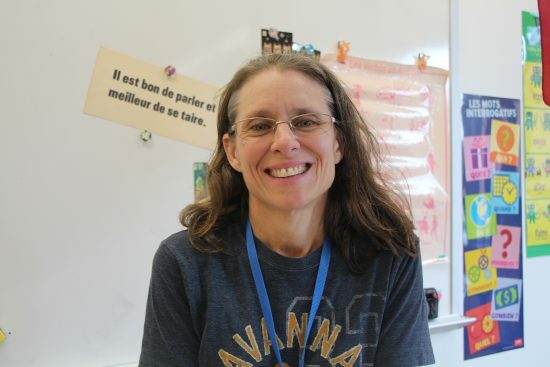 Madame Martino is hoping that her students will get the ¨travel bug.¨ Once they travel once, they will want to keep traveling and exploring new places. She also hopes that this 4 day trip out of the country will teach students how to use the French language outside of school and in the real world. French IV is planning a fundraiser to raise money for this exciting trip. On Thursday, October 5th, they are planning on selling crepes to everyone before school starts in the lower hub. They will start selling around 6:45 AM and end around 7:20 AM. The students will have many different types of crepes for the students to choose from. The price will be 3 dollars for 1 crepe, and 5 dollars for 2. Madame Martino says that if this fundraiser goes well, each class (French II and III) can hold their own fundraisers in order to get to Canada! If you want to help out your fellow students have a once-in-a-lifetime experience, stop by the Lower Hub on Thursday morning to buy some crepes!